Novel Ace's author turns out to be Shou Hinata (ひなたしょう), known for Naruto novels and such. A short novel about Straw Hats will also be included in ONE PIECE Magazine volume 1. Do we know if it's the same guy that wrote the Straw hats novel? I'd like to compile information about ONE PIECE Magazines so far including new info revealed today. - "Novel Ace" volume 1 will focus on how Ace established Spade Pirates. - "Novel Ace" volume 2 and 3 will handle the story until Ace dies which has not been revealed in manga before. - Novel Ace's author is Shou Hinata (ひなたしょう), known for Naruto novels and such. - "Novel Straw Hat Crew" is a short novel which focuses on each member of Straw Hats. The author is Tomohito Osaki (大崎知仁). - "Picture Book Light and Darkness -a story of Luffy, Ace and Sabo-" will focus on their childhood. The author is a picture book artist Shinsaku Nagata (長田真作). We can see his drawings on his website. - Katsuya Terada(寺田克也) is responsible for the cover page drawing of Ace novel volume 1. - Super-realistic bounty poster of Luffy. The poster is covered with wax. - Question and Answer section in which successive editors (not Oda) will answer questions from audience. 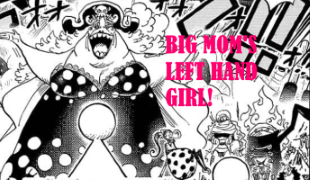 - ONE PIECE Magazine is said to be a "gorgeous" mook. [EDIT] Ace novel is "official ", so Oda will supervise it, probably. Last edited by sandman; June 5th, 2017 at 02:07 AM. @EMUNOPLA: not cool. If you need followers go to another board. What interest me the most is that Oda's interview and the Super SBS by the editors. I hope they will get translated at some point. I'm pretty excited too. Ace is rather underdeveloped so it's great that we have a chance to learn more about him now. Last edited by ScotchInformer; June 19th, 2017 at 09:19 AM. - Whole Cake Island arc will be more exciting in the future. Does that imply he thinks it has not been exciting till now or that it will be even more exciting than it already is? Can't wait to see that "amazing book". Thanks sandman!!! Damn skipped all the way to W7. As surprising as it is, it makes sense since these spines only focus on big Straw Hat joining moments. I only hope that Jimbei is included. There were like 2-3 spines with Ace.